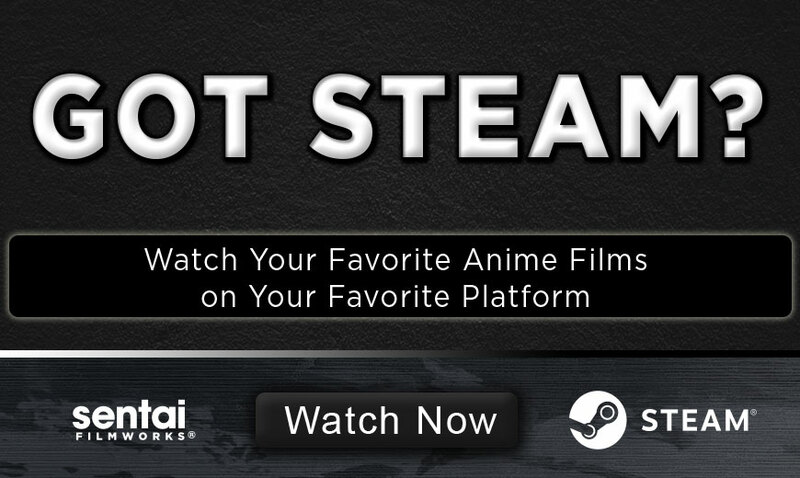 HOUSTON, TX SEPTEMBER 21, 2016 – Twelve anime feature films from Sentai Filmworks, a leading North American anime licensor and distributor, are now available on Steam, a a leading online destination for digital content. Starting on September 21, 2016, Steam users will be able to stream classic and fan-favorite anime feature films in Japanese with English subtitles and English dubbed versions. The partnership will launch anime titles like the award-winning anime anthology Short Peace, a digitally remastered version of the 1993 theatrical film Ninja Scroll, and the emotional classic Grave of the Fireflies from globally renowned animation studio Studio Ghibli (Spirited Away, My Neighbor Totoro, Princess Mononoke). Steam customers will also be able to stream: Children Who Chase Lost Voices, Fate/stay night: Unlimited Blade Works, The Garden of Words, K-On! The Movie, Hakuoki - Theatrical Version, Chapter 1: Wild Dance of Kyoto, Hakuoki - Theatrical Version, Chapter 2: Warrior Spirit of the Blue Sky, Loups=Garous, Mardock Scramble: The First Compression, Mardock Scramble: The Second Combustion, and Mardock Scramble: The Third Exhaust. Steam customers can view video on all Steam-supported platforms, including Windows, Mac, Linux, SteamOS and Steam Link. Over the past year, Steam's video offerings have only continued to expand, and Steam continues to be a leading platform for digital content with over 500 movies and shows, over 10,000 games, and millions of users. For pricing, availability, and more, please visit http://store.steampowered.com/. Sentai Filmworks is a leading global supplier of anime and official anime merchandise, distributing and curating one of the industry’s most diverse libraries of top trending and classic titles. Offering thousands of hours of content across both traditional and digital platforms, Sentai is dedicated to bringing captivating stories and iconic characters directly from Japan. With hit series that include Parasyte –the maxim–, No Game, No Life, Food Wars!, Is it Wrong to Try to Pick Up Girls in a Dungeon?, and Akame ga Kill!, Sentai’s catalog continues to grow with new favorites like Himouto! Umaru-chan and Monster Musume: Everyday Life with Monster Girls, as well as classic anime series such as Legend of the Galactic Heroes. For more information, visit www.sentaifilmworks.com.